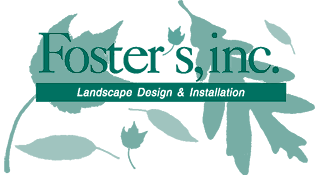 Foster’s, inc. is a strong supporter of community works in Fairfield County, Connecticut. 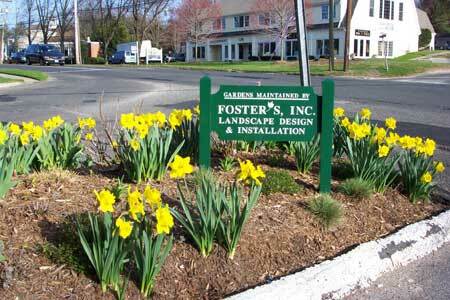 Foster’s plants and maintains several bedded traffic islands throughout Fairfield County, including the following one in Darien on Nearwater Lane. 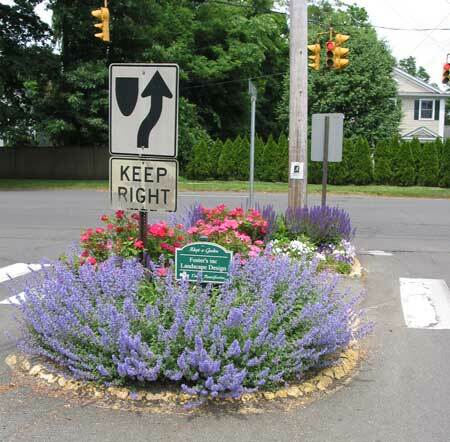 The company planted and maintains the following traffic island in Westport. Foster’s is a longtime supporter of the Near & Far Aid Spring Gala. 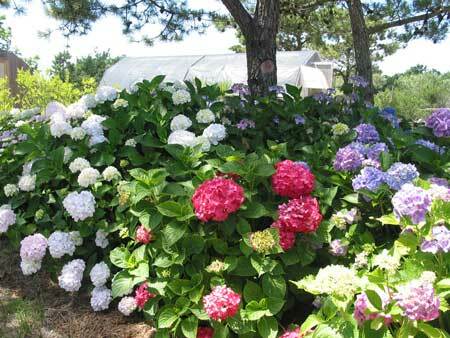 For the 2010 auction event, Foster’s donated a hydrangea plant collection, the planting of the collection, and a free consultation. 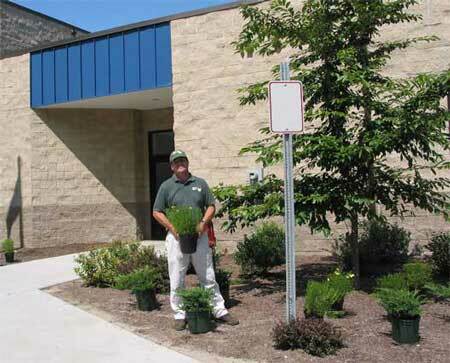 As a way to give back to the founder’s hometown of Easton, Connecticut, Foster’s plants and maintains the grounds of the Easton Community Center. To help celebrate Foster’s 10-year anniversary in 2005, Foster’s donated $1,000 to ten charities selected by its customers. 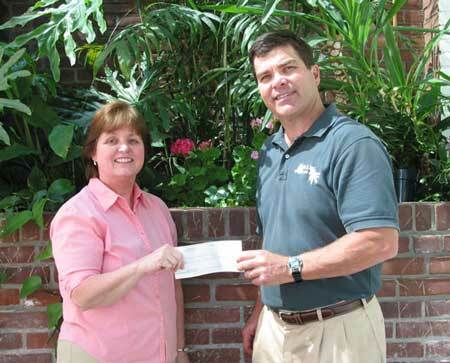 Here, the company founder, Foster McKeon, presents a check to Kay Oestreicher of the Easton Senior Center. 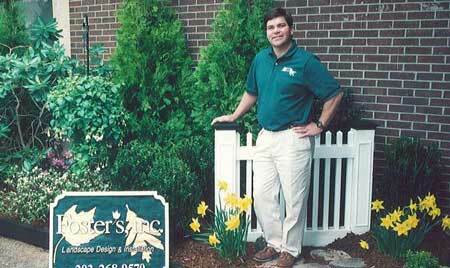 Foster’s participated at the Weston Home & Garden show, donating an eight-foot teak bench for a raffle prize. 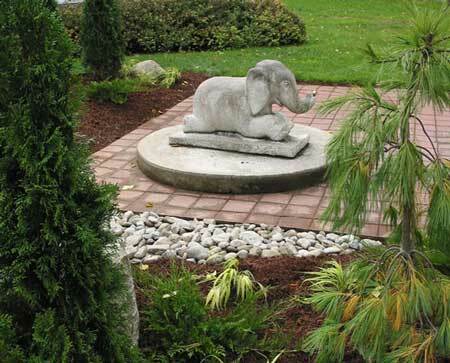 Foster’s was one of the volunteer companies who helped revitalize the Beardsley Zoo in Bridgeport, Connecticut.